Photo: Don & Dan Dyrness with Bindy of Main Street Custom Homes & Remodeling in front of the completed Gazebo during the Dedication Ceremony on Sunday, September 10, 2017 on the lawn of the Roxbury Public Library. Roxbury Township has gained a new outdoor entertainment venue! 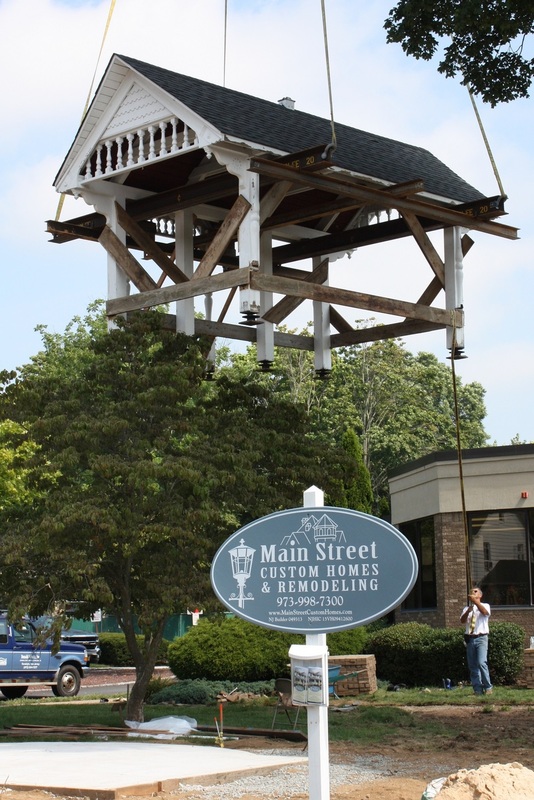 Main Street Custom Homes & Remodeling managed the relocation and refurbishing of the Roxbury Public Library Gazebo closer to Main Street. For years, the Gazebo was tucked back near the Library building behind a tree and was underused and overlooked. Moving and rotating the Gazebo to its new location creates a more useable space where the Library can hold musical performances, book readings and other community gatherings. This project has deeper meaning to the Dyrness Family beyond supporting the revival of Main Street in Succasunna. When the modern expanded Library building was constructed in 1974, Nancy Talmage, who was very involved in local community efforts, salvaged much of the porch posts, railings, and gabled front entry before the Victorian house of the original Library building was demolished. 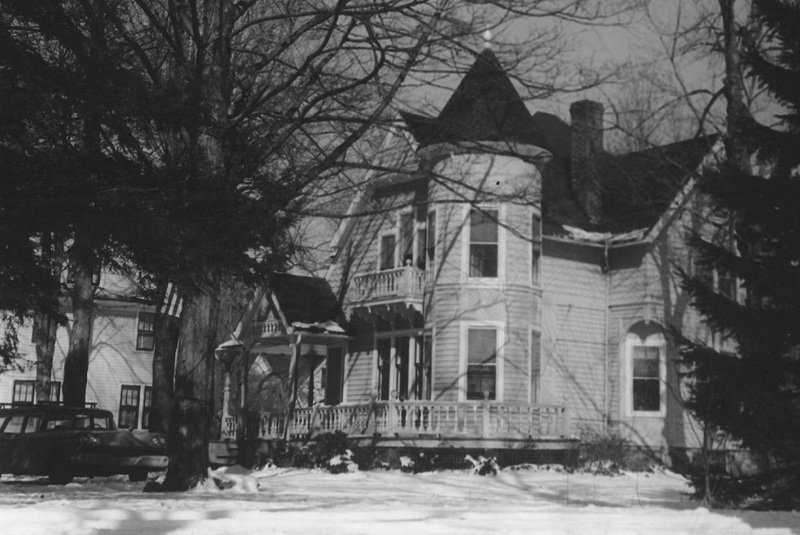 At the time, Dr. and Mrs. Talmage owned the property adjacent to the Library at 109 Main Street which currently houses the offices of Main Street Custom Homes & Remodeling. A couple of years later in 1978, Nancy Talmage approached her friend Daniel Dyrness along with a group of other dedicated volunteers to help incorporate these treasured gingerbread trim pieces into the construction of the Gazebo, officially named the Queen Anne Summerhouse. Several years afterwards in 1981, Donald Dyrness installed the paver walkway in front of the Gazebo's original location as his Boy Scout Eagle project. Together in 2017, the father and son team worked side-by-side to supervise the relocation of the Gazebo! A third generation of the Dyrness family got involved as well. Don’s nephew/Dan’s grandson Brodie Haughey of Succasunna Boy Scout Troop 159 helped remove the existing brick walkway for use on possible future Library projects. There were many people involved in making this project possible. We would like to thank all the Trade Contractors and Suppliers who offered their services and material free of charge or at a discounted rate. Your willingness to work with us on this community service project is greatly appreciated and the results will benefit the Roxbury Township community for years to come. The following speach was presented by Marge Cushing, President of the Roxbury Township Historical Society during the Gazebo dedication cermony on Sunday, September 10, 2017. "Today we celebrate the re-positioning of this charming gazebo, a connection to two early Township residents, Theodore Wolfe and his only child Mary, whose love of learning and devotion to their hometown inspired them to be major benefactors of our Roxbury Public Library, recently named Morris County’s finest. Theodore Wolfe was born in a home on the banks of the Morris Canal to Daniel Wolfe, an iron ore canal dock superintendent just minutes from here in McCainesville (now Kenvil) and his wife Mary Logan in 1843. Frail, but scholarly, he studied medicine at the College of Physicians and Surgeons in Manhattan. At age 43, ill health caused him to abandon his medical practice in Jersey City to return to his roots with his wife Gertrude Franklin and their one year old daughter Mary, hoping to restore his health while spending time in academic pursuits, which included studying the lore and language of the Lenni Lenape, the original people of this area. We have him to thank for determining the origin of the name Succasunna, which in the Lenape language translated to the place of the black stone, the abundant iron ore in the region that was at the core of the Morris County iron industry. The new house he brought his family to at 103 Main Street, the site of the current library, was Victorian in style with Queen Anne elements that included a turret in one corner, artistic woodwork over the front door, and decorative porch embellishments. Houses in this style came to be called Queen Anne Cottages. It was here on Main Street, a dirt road, that Mary enjoyed a carefree childhood including classes in the 1856 Chestnut Hill School, only recently demolished, just up the hill opposite the Township fire house; attended Church, Sunday School and Church socials in the First Presbyterian Church next door; enjoyed family outings via barge rides on the Morris Canal plus train rides west to visit relatives in Califon and east to NYC for a once a year shopping spree with her mother; and spent time on Grandmother Logan’s family farm in Kenvil where she could roam free as a bird, so colorfully described in Mary’s autobiography, The Wag on the Wall. Living in Arlington, VT after marrying Charles Thompson, an architect, Mary became a published author of books, magazines, articles, historical fiction for young readers and biographical works, always cherishing her roots, keeping in touch with local friends including Harriet Meeker and Annie Hosking, founders of the RTHS. When Mary learned of plans to establish a Roxbury Public Library upon the recommendation of the Woman’s Club in 1960, she was pleased to hear that enough funds had been raised by the newly formed Library Association to purchase a building. Interestingly, her Dear Queen Anne Cottage was for sale and was bought by the Association to become the library’s first home. Within a year, in 1961, the Roxbury Public Library opened its doors to the public. Going to the library was like going to grandma’s house, stepping onto the porch, entering through the inviting front door and roaming its rooms, perhaps to sit in a cozy alcove leafing through a book picked from a shelf. Years before his death in 1914, Dr. Wolfe and Mary had discussed the need for a Roxbury Library, and had expressed his wish that Mary would bequeath his estate to the library should she die with no direct heirs. Upon her death in 1970, a widow with no direct heirs, Mary left the bulk of her father’s estate to the library, a final loving gesture to their hometown. Because the library had outgrown its quarters in the Queen Anne Cottage by 1974, a difficult decision was made to demolish it for construction of the modern building we see here, but not before salvaging porch posts, railings, and the gabled front entry, for future use. Four years later, the gazebo was assembled with monetary contributions as well as volunteer labor. 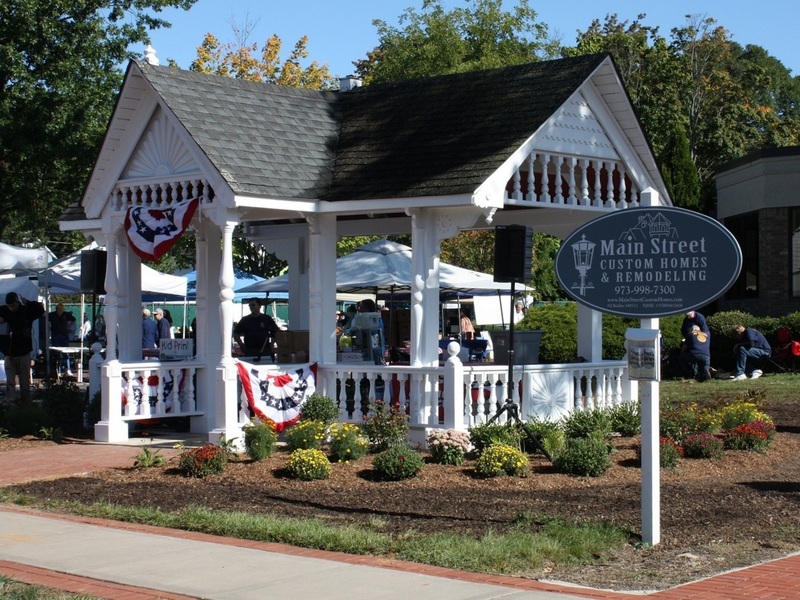 The gazebo stands as a tribute to the generosity and loyalty of Dr. Wolfe and Mary to their hometown, and as a symbol of the long standing tradition of citizen participation in the Township that continues to enrich the quality of life achieved through such participation, resulting in its being designated among the Best 100 Communities in the USA for Young Families. 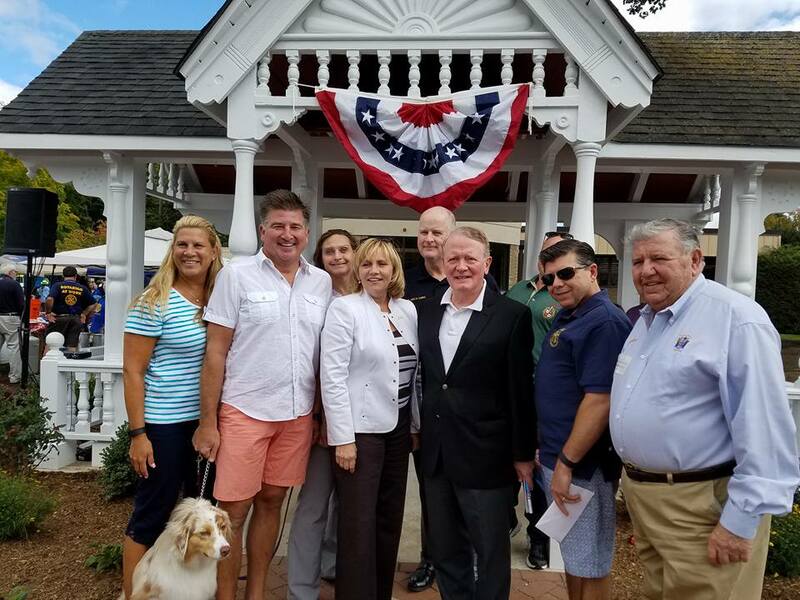 Not only decorative, but useful in presenting cultural events in its new position, the gazebo, called a “Queen Anne Summer House” when first dedicated, will continue to serve as a tangible connection to our Township’s rich heritage."